Click here to read more about our Guest House Accommodations. 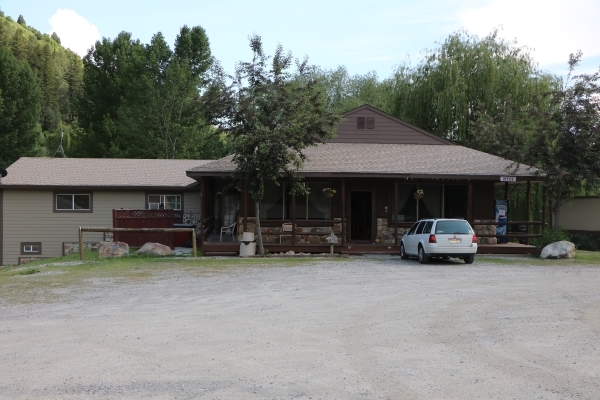 The Cub River Guest House is a large 5-bedroom, 4-bathroom Preston vacation rental cabin. This comfortable Ranch has 6,700 square feet of living space and can sleep up to 52 people. There is a large kitchen with 3 separate stoves and ovens, a stainless steel island, 2 full size refrigerators and all your necessary utensils. Along with the kitchen and plenty of bedrooms, the Cub River Guest House also offers a large Conference Center with hardwood floors. This area has a Clavinova piano, a surround sound system and audio and visual capabilities. Next to the Conference Center is a theater and game room with a big-screen TV and DVD player, foosball table, and comfortable furnishings. The Cub River Guest House offers all this and more, making it the perfect place for your next Idaho vacation! The Guest House offers fun and excitement for people of any age. This is a great year-round facility with plenty of nearby activities. The Guest House and amenities are great for sweetheart getaways, family reunions, youth retreats, weddings, and business seminars. Hiking, biking, horseback riding, or just relaxing around the campfires in the evening are just a few examples of what you can do at Cub River Guest House. Water tube rentals are available at the Guest House and there are horse, ATV, and snowmobile rentals available nearby. No hotel can offer this kind of adventure at these rates! The Guest House has campgrounds in Preston Idaho. 11 RV Sites with Hookups for the adventuresome type are close to the Cub River Guest House. 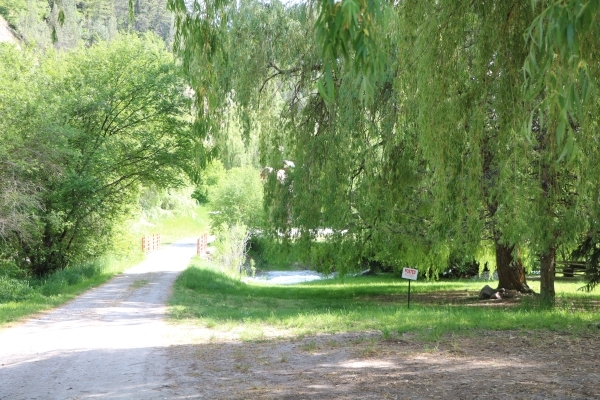 A large lawn area is surrounded with the RV Sites with access to the Cache National Forest just a 1/4 mile away. A great area for 4 wheeling, snowmobiling, biking, hiking, horseback riding trails, etc. Enjoy a scrumptious dinner next door at the Famous Deer Cliff Inn Restaurant. A delicious selection of mouth watering steaks, chicken, shrimp, or fish are available with all the trimmings. Call 208-852-0643 for dinner or cabin reservations. Have questions about the Cub River RV Park and campgrounds? Give us a call today at (208) 852-2124.